Doesn't it make sense for us to combine the best of both worlds—the high technology of conventional medicine with the high touch associated with alternative medicine? This approach is called integrative medicine and continues to be pioneered by (my former medical school professor) Dr. Andrew Weil. Dr. Weil is a Harvard-trained physician but also heads a Tucson clinic that incorporates alternative medicine practices. The practice of integrative medicine says that you should feel free to explore all possible treatment options. Various forms of treatment are seen as complementary to one another. For example, you may choose to combine acupuncture therapy with in vitro fertilization. After all, both have the same goal, which is to boost your fertility and help you have a baby. Be sure you understand the limitations of the various forms of treatment. For example, if your fallopian tubes are blocked, herbs and aromatherapy will almost certainly not open them. However, if you are taking hormonal medications to help you ovulate, you may find that aromatherapy and massage help to relieve your emotional stresses. Whatever you decide to do, be sure that all of your caregivers are aware of any other treatments you may be taking. Working with both conventional and alternative medical practitioners will provide you with the best of both worlds. 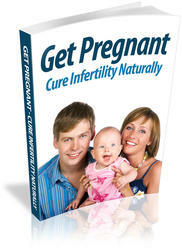 You may achieve your goal of having a baby sooner and with more comfort and serenity.